Magnet #148. Vintage Photo. 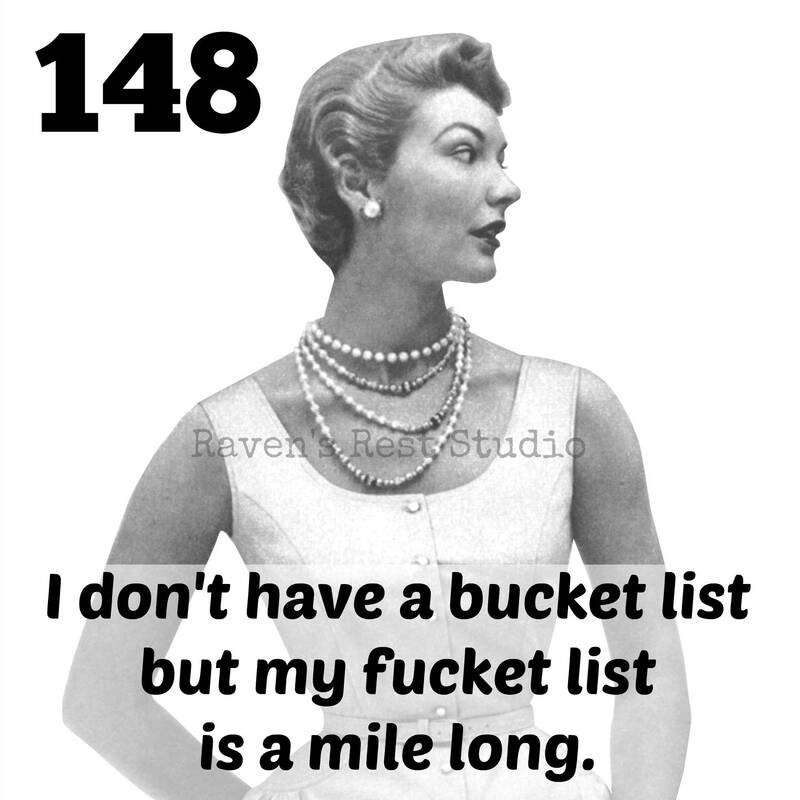 I Don't Have A Bucket List But My Fucket List Is A Mile Long. Funny Magnet. 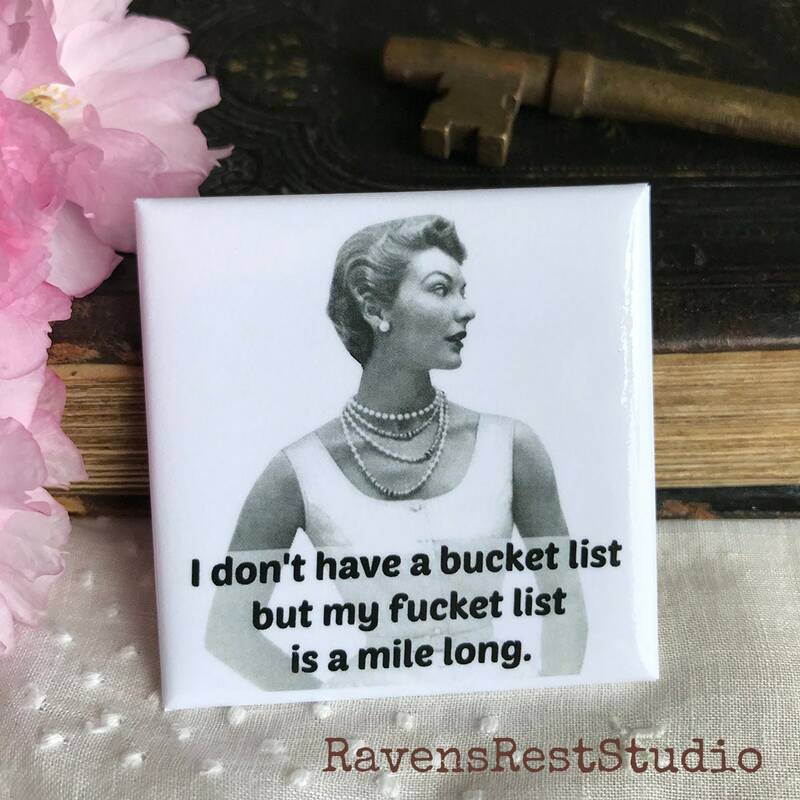 This 2 inch square magnet features a vintage fashionable woman and reads: "I don't have a bucket list but my bucket list is a mile long." Quick shipment of awesome vintage photo magnet.